Fort Frederick State Park in Washington County invites Marylanders to take a journey back in time to commemorate the fort’s role in the American Civil War. Union, Confederate and civilian reenactors will assemble for a weekend of living history and tactics demonstrations. The weekend program takes place from 9 a.m. to 5 p.m. Oct. 6, 9 a.m. to 3 p.m. Oct. 7. “During the weekend, visitors will get a glimpse of what life was like during the winter of 1861-1862 around old Fort Frederick” Park Ranger Rob Ambrose said. 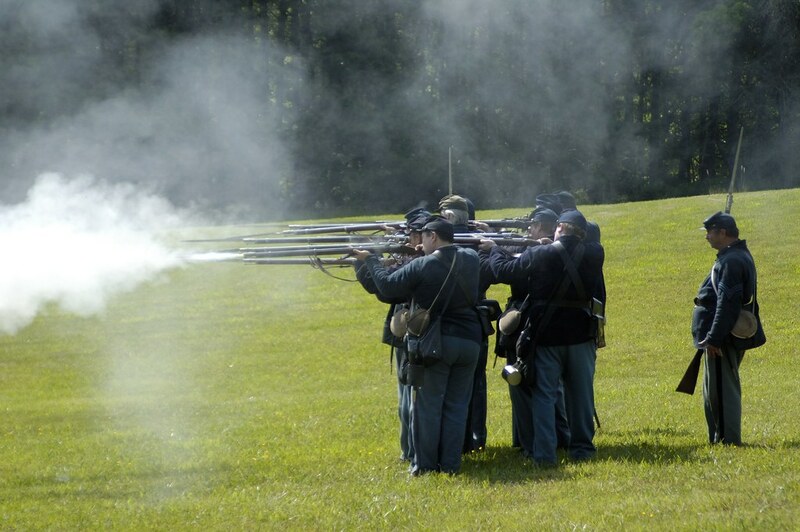 Highlights of the event will be military drills, hands-on telegraphy programs, programs on the fort during the Civil war, soldier uniforms, and battlefield medicine. Visitors will pay $3 per vehicle for residents and $5 for nonresidents. Visitors should also be advised that disabled access is available, although most of the activities are on grassy areas.